Yes, ripping out all my work and starting over is sort of my thing, particularly when I’m trying to design something. Now that I consider the issue, I might start to worry about myself if I ever knit something from beginning to end in one shot and didn’t need to disappear hours and hours of my stitch work along the way. Fortunately that has never happened. I always need to restart a project at least once. Its how I work out what I want to be knitting. And I’ve given up feeling like that part of me should be improved upon. As someone famous said (I think it was Virgil) “a woman is a fickle and changeable thing”. So I had this future stole. I love the yarn and the way it works up. Its a two-ply handspun that I made years ago, before I started blogging. Its been sitting waiting for me to make up my fickle mind about what it should be. I also like the needle I’m using, a size 9, because that makes the fabric loose and drapey but not so loose it looses the pattern. And I do like the pattern(s). 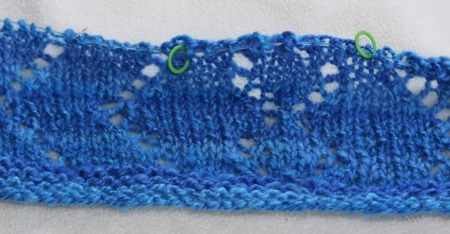 I’m combining two traditional Dutch laces here: Marriage Lines and (what I have always called) Dutch Diamonds. What can I say, I’m in a Amsterdam sort of mood. 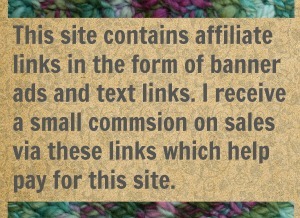 But I hate the shape of my knitting. A rectangular stole is just too boring for this yarn. It deserve something more. I hate the size of it. What I have going on here is wide enough to lap blanket. Its got to go. But before I started ripping, I took a few preliminary steps that helped me to rip with a smile on my face. Making coffee is a key preparatory step for succeeding at all sorts of things including, but not limited to, engaging in spoken conversation with another human being, facing your email inbox, driving on any public road any where, and avoid having a judge mandate anger management classes. It will also help you rip out 200 yards or so of knitting. Coffee will help you to face the ripping out. 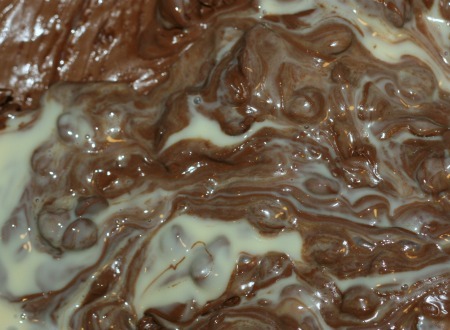 Fudge, homemade fudge, will make it so you don’t freaking care about loosing all that work. Fudge is magical that way. A can a sweetened condensed milk. Pour it all in a pan and melt it. Add a little salt if you like (I like). Add some vanilla extract if you like (I add LOTS of vanilla extract). Pour it into a casserole dish that is lined with parchment paper. Stick it in your freezer for however long you want. Eat until you are getting a little queasy from all the sugar. Then you are ready for the next step. 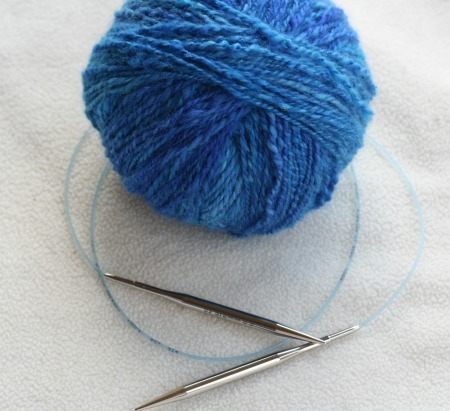 Step 3: Pull out your needles and carefully… gently… rip out everything out as fast as you can. Really go for it. If you’ve ingested enough caffeine and enough sugar you can get through this step quite fast. Step 4: Re-wind your yarn into a nice pretty ball. 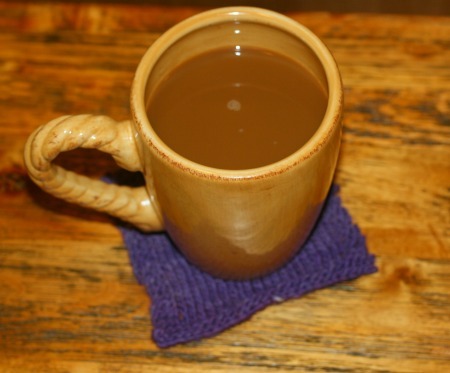 Step 5: Go make more coffee and nibble on some fudge while you think about what you might like to try knitting with your yarn next. Keep at that until you have a stroke or until inspiration strikes. Me? 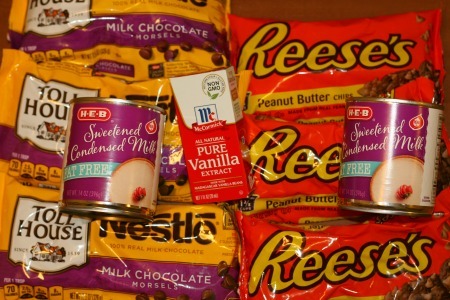 I still need more fudge. 46 Comments on "How to Rip Back with a Smile"
And how do you keep the yarn from getting all tangled when you un-knit as fast as you can? Or is it that you just don’t care after all the caffeine and sugar? It’s good to have a plan. That was my question as well. If I rip with abandon, there WILL be cussing and many, many bad words as I then try to rewind what has become a snarled mess of bad word inducing, tangled yarn. And by that point, there’s not enough coffee and fudge in the world to soothe my ruffled feathers. Especially if Kitten My Kitten has taken it upon herself to lend a helping paw! Lock her up before you rip. Or better yet, lock yourself up. 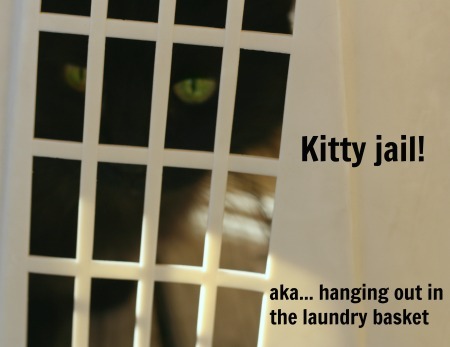 I once did some ripping in my bathroom just to thwart the evil cat and I’m not too proud to admit it. I used to start over 3 times, max. Now I’m finding patterns that I will give at least 4 do overs. And, I have succeeded in placing safety lines. Life lines are a knitter’s best friend. And it sounds like you just keep challenging yourself and moving that bar higher and higher! They keep us on our toes. Its their duty as our animal owners to constantly screw with us I think. They only get away with it becasue they are so cute. May I suggest instituting a program of elaborate bribes? Sometimes the food or the toy or the peanut butter in a baby bottle can keep furry ones busy and distracted for at least… 8 minutes. FYI for cat owners: a cricket hopping around in an air-filled ziplock baggie is a no-fail distraction. Just don’t forget to rescue the cricket and return it to the outdoors. My toy poodle likes to nudge under my hands for attention. She settles down and is content as long as she can touch me. The 22lb Tuxedo cat will just plop himself in between me and the knitting until I give him the attention he demands. If Hugo doesn’t get the attention he thinks he deserves, his busy paws will start pushing my tools, books or even my coffee cup off my side table. All of this leads to distracted knitting. Then comes the ripping! Cats have fouled up lots of knitting the world over. If hands have time to stitch, they have time to pet cats. And scratch them behind the ears. And under the chin. And don’t forget that spot at the base of the tail. Why would you even consider knitting when your Cat Master is in need of these services??? I can go for the coffee as long as I have enough Hazelnut creamer to go along. The fudge however, will have to be a sugar-less version nowadays since being diagnosed with Type 2 Diabetes. 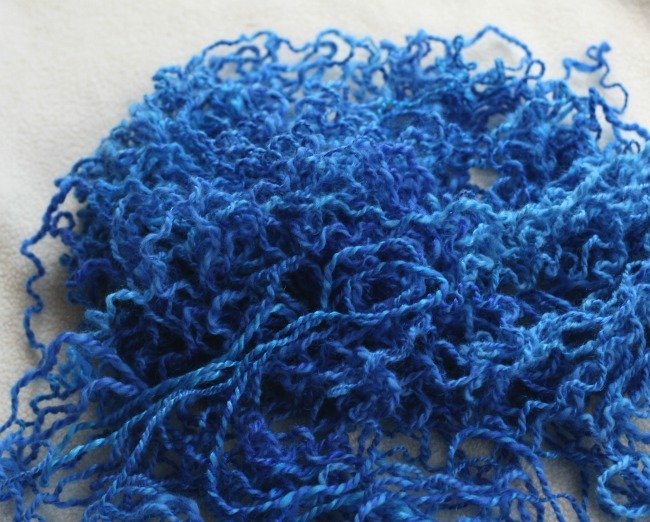 Beautiful Blue yarn though; quick, knit up a nice triangular shawl! 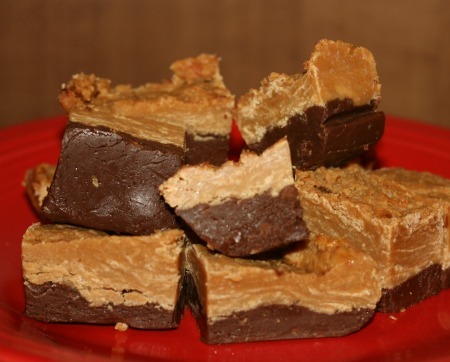 Then I’ll whip up a batch of sugar free fudge for you! becasue ripping out seems to be an inevitable part of knitting and we should all find ways to make it more enjoyable. The lace did look pretty, but I’m not the one you have to please, only yourself. Maybe a top down, raglan cape. I’ve made a few, but wish I could embellish them. Working out where to put cables or lines of lace is way beyond my skills, unfortunately. I’ll still make more for myself though. Hmm… a cape is an idea. i may steal that. I’ve been playing with the idea of a Faroese but that just ruins the whole Dutch theme. A lace-y cape huh? That makes me think of flower girls at weddings and spring time. Maybe we need a lace-y cape around here. I’ll put it in the hopper.